There's a new expansion for Moonstone that's up on Kickstarter. The Leshavult expansion brings in a whole new faction devoted to the lord of life, death, and rebirth. It includes a bunny summoner. If you want to create Night of the Lepus on your tabletop, you can now do that. Moonstone is a Tabletop Skirmish Game for 2-4 players set in a wonderfully whimsical storybook world where players bluff to win. As well as a unique fairytale aesthetic, Moonstone keeps all players constantly involved in the action and has some truly original mechanics not seen before in miniature skirmish games using unique card decks to resolve magical attacks and combat! 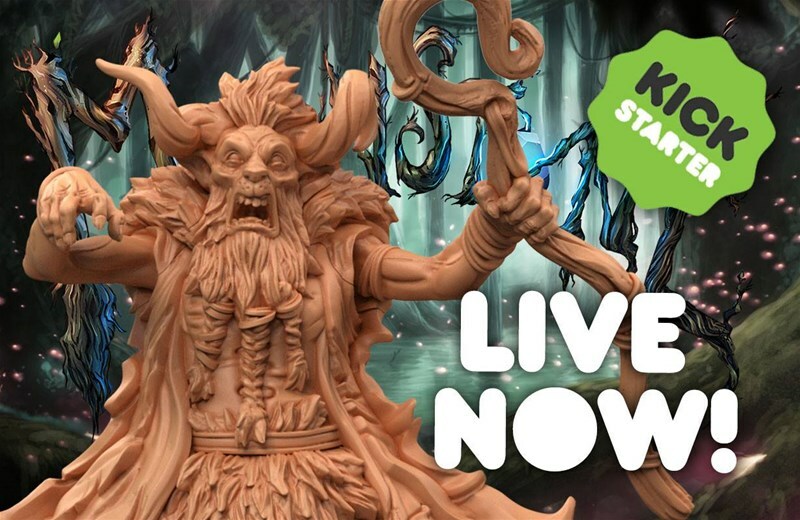 For this Kickstarter we are rejoined by the same ace team of sculptors who delivered on our Main Game Kickstarter: Tom Lishman, Dave Kidd and David Whitaker. The campaign's already up and over its funding goal with 15 days left to go.